Your Website is the Face of Your Company! 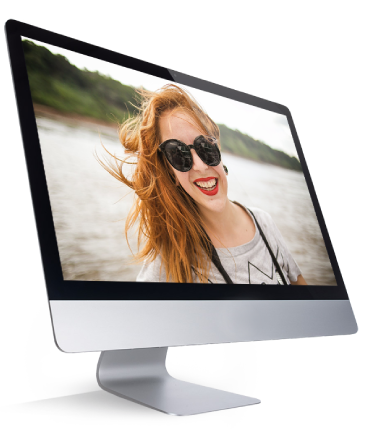 Our website design team can help you put on a happy face! When a soon-to-be client hears about your business, often the first thing they will do is jump on the internet and research your company by visiting your website. They will draw immediate conclusions about your company and whether you are worth their time. Having a professional web presence by a reputable website design company is critical to capturing your visitors trust and attention. One question we often hear is: how often should a website get redesigned? Consensus among the business and web design community is 2-3 years on average. Your business changes a lot in 2-3 years. Every business goes through changes every year; often times significant changes. Most businesses don’t realize that your website needs to change along with your business. Clients learn about your business by visiting and reading about it on your website. There are many benefits of a website redesign to your company or organization. Visitors get bored quickly. People visiting your website don’t like seeing the same images and content for more than a few visits. This is especially true if it has been more than a few years since you have had your website redesigned. Over the last 5 years, people have increasingly used mobile devices more and more to browse the web. Smart phones and tablets are frequently more comfortable and convenient to surf the internet with than a desktop computer. If your website is Mobile-Friendly, visitors are more likely to stay on your website. If your website doesn’t look good on a mobile device, your clients can’t access your information. If your website is not formatted for mobile devices, they will probably get frustrated and go somewhere else. All of our Websites are Mobile-Friendly by Default. We build all of our websites with mobile responsive design methods. This means that your website will look fantastic on a desktop as well as a smart phone and a tablet. Our Albuquerque web design team has the experience and the creative knowledge to design a beautiful and functional website for your business. We have both the technical programming skills as well as the design expertise to produce an attractive and professional website that will gain you more visitors and clients. As an Albuquerque web design company, we pride ourselves in serving the local small to medium-sized businesses in Albuquerque and the surrounding areas. Our web design team is happy to provide Albuquerque web design services in our local area, but we also build beautiful websites nationally as well. Why a new or refreshed website? What is the point of having your website redesigned anyway? All our websites are Mobile-Friendly by default. If your website is Mobile-Friendly, visitors are more likely to stay on your website. If your website is not formatted for mobile devices, they will probably get frustrated and go somewhere else. With a new website, your visitors will have a better experience. With a new website, your visitors will have a better experience. If your website is professionally designed, it will be obvious to clients visiting your website exactly what your company does or what you are trying to sell. Navigating your website will be a breeze. Your web presence is everything. People will be able to tell within the first few seconds if you have a professionally designed website. Having a professionally designed website will give your business the web presence you deserve. they will go somewhere else. A professional website will help build the trust of your clients. First impressions are everything and a professional website is a great place to start. Check out our web portfolio to see some of our latest work. Here are a couple of our related blog posts. Back in the day, it was normal to wait more than a few seconds for a webpage to load. You would just stare at the screen as the website slowly appeared, one visual element at a time. These days, a slowly loading website is unacceptable. 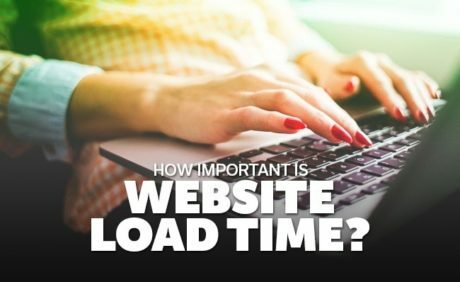 Few people have the patience to wait more than a few seconds for a page to load, and will simply leave the website altogether out of agitation. Trying to keep a business website up to date is challenging and can easily be overlooked if you don’t pay attention to what your competition is doing. Looking at your competitors’ website can give you an idea of what you may need to do to keep your website updated. 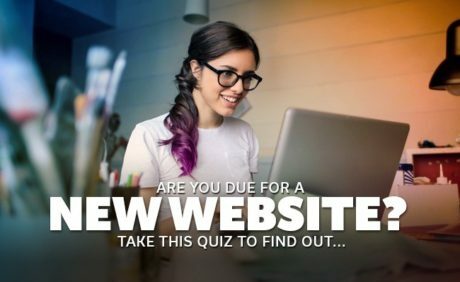 Take this five-question quiz to answer the question: Are you due for a new website? A professional looking website is more important than you think. Your website is the online representation of your business. It can be the one aspect that makes or breaks an important business deal. 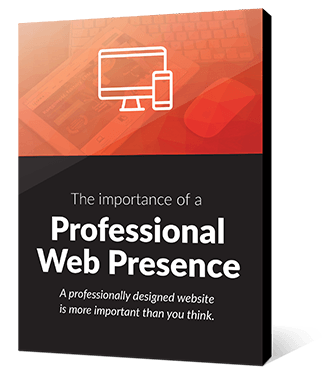 Why having a professional web presence is so important for your business. Your clients make judgments about how professional your organization is based on your website. You can cast a big shadow even though you may be a small organization.